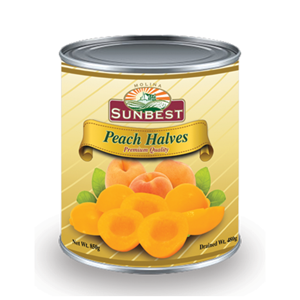 Peach Halves | Molina & Sons (PHILS.) 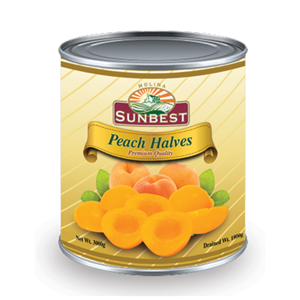 Inc.
Sunbest Peach Halves is made of quality yellow-fleshed peaches, cut into halves and carefully preserved in can. It is often serve as it is and also used for appetizer, fruit salad, fruit shake, cake toppings and other variety of desserts. Peaches contain beta-carotene (Vitamin A), C, E, Fiber and many other nutrients essential l to good health.